Get a blaze of summer sunshine in your kitchen as autumn takes hold with the versatile persimmon. 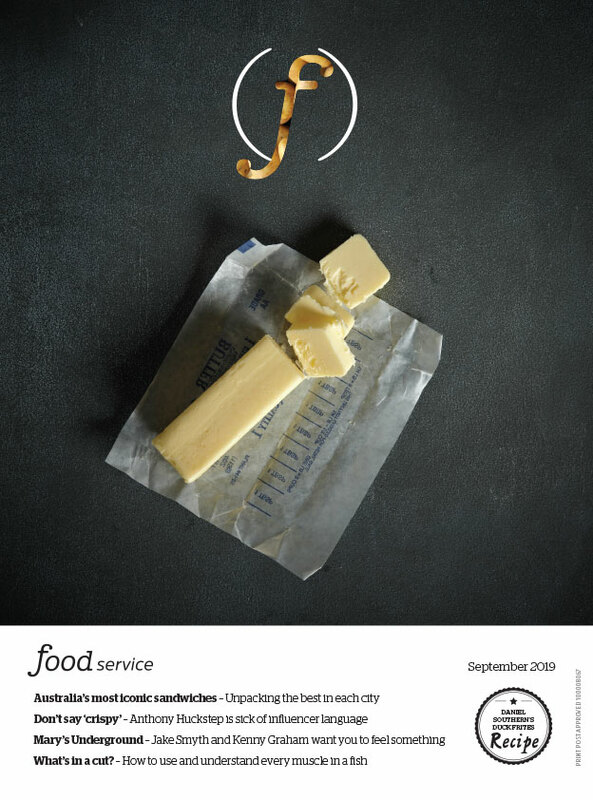 Jenny Hobson McGrigor introduces this juicy, sweet ‘food of the gods’. The pretty persimmon is a colourful fruit with a hue that ranges from dark red-orange to a light yellow-orange – all the colours of a brilliant sunset. The botanical name for persimmon (diospyros) translates as ‘food of the gods’, which is a fairly big call. The fruit has its origins in China, having been grown there for thousands of years, with a record of about 1,300 years in Japan. Persimmon has now spread all over the world and is also grown in Brazil, Korea, Egypt, Chile, Australia, New Zealand, Spain....and the list goes on. The astringent variety usually has large, heart shaped fruit that must be eaten when completely softened or the tannin levels will be too high, creating an unpalatable flavour. When they’re ripe, prepare to be delighted! Their juice is very sweet and the fruit has a unique, jelly-like consistency. 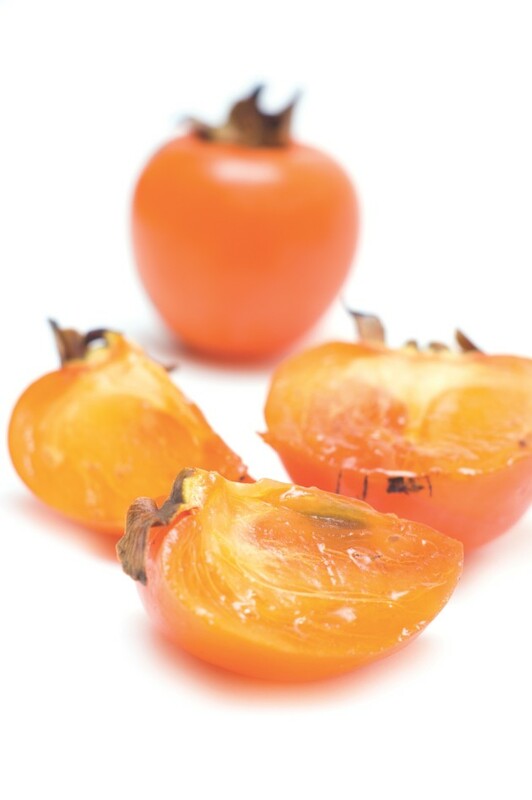 The non astringent persimmon is the Fuyu, and as the name would suggest it is far less astringent and can be eaten when hard, very firm or soft depending on what you prefer or your culinary plans for the fruit. They are round, with a slightly flattened top. The taste of both varieties is sublime, but they are also good for you. Fat-free and high in fibre (double the fibre you’d get from an apple), persimmons also come packed with vitamin C, beta-carotene and minerals such as sodium, magnesium, calcium and iron. In Australia, most of the persimmons are grown in Queensland, although they are harvested all over the country. The season starts late February/early March and continues over the cooler months until the middle of June. They help bring a little colour to the autumn/winter produce offering. To select a good fruit, look for a bright colour, although the colour isn’t indicative of ripeness – any of the colours can be ripe! Just make sure the green calix on the top is still there. Store your persimmon at room temperature and allow to ripen for up to a week. To move the ripening process a little faster, store the persimmon in a paper bag with a banana or an apple. The Fuyu can be quartered and scoffed like a crunchy apple or cut across the fruit to reveal the intriguing star pattern hidden within. The latter looks great as an edible, colourful garnish. With softer persimmon, you can simply scoop out the flesh and serve alongside dessert or consider adding the flesh to muffins and cakes when baking. It makes for a great fruit crumble too! The sweetness of the persimmon can be harnessed in savoury dishes, for example, use it to make a salsa to accompany fish. If all else fails, make spiced persimmon jam so you can enjoy the fruits all year long. Jenny Hobson McGrigor is from Murdoch Produce. Read more about the business on www.murdochproduce.com.au.